Is Artificial Intelligence a threat to your Job? New technologies bring innovations, in business, and change the course of the work being done. But does a technical revolution bring shift in employment patterns too? The Industrial Revolution which began in the 18th century was a transition to new manufacturing processes characterised by new inventions. The industrial revolution effectively increased the output levels and also saw improved systems of transportation, communication and banking. But the Industrial Revolution also took some key sacrifices, the change destroyed traditional jobs, but it also created new ones. The technology of the Industrial Revolution helped in discoveries of the modern industrial marvels and gave us the standard of living we are accustomed to. In the short term it was a difficult transition to the technology of the industrial revolution but in the long term, it was worth it. Short term pain for long term gain holds true for the 21stcentuary marked with artificial intelligence. Like the gruelling employment pattern changes witnessed in the industrial revolution, our generation will go through a similar transition with artificial intelligence to make way for an improved standard of living. John Maynard Keynes coined the term “technological unemployment” way back in 1930. Simply described, technological unemployment is the loss of jobs due to advances in automation and other technologies. An Oxford University research carried out by Carl Benedikt Frey and Michael Osborne in 2013, predicted that 47% of the jobs can be easily automated in the next couple of decades. The research was carried out on 702 occupational groupings and the jobs were grouped into either routine or non-routine and either analytic/interactive or manual categories. While the routine jobs covering the same tasks every day, or month, or year like data entry, production logistics can be easily automated the non-routine jobs requiring creative responses to new things which are less likely to be automated. Similarly, manual jobs involving the work to be done by hands like cleaning, painting can be automated, but those that require high cognitive and good social skills have less chances of automation. These include social media personalities, marketing professionals persuading you to buy their products, relationship managers and empathetic medical professionals. Artificial intelligence through robotics will take away repetitive, standardised tasks that require the least of the human cognitive mind. The routine jobs will give way to complex and non-routine creative and challenging jobs built on new skills and education. Jobs such as being a YouTube blogger, or an SEO expert or a creative professional that were unheard of in the older times will be up for grabs. The new technologies will pave way to individuals devoting most of their waking hours to hobbies, volunteering, and community services while leaving the routine and mundane work to the robots. Artificial intelligence will further increase the inequality between the highly skilled and less skilled workers. The highly skilled professionals will on the gaining edge of complex new opportunities with educational up gradation and skill adoption. The less skilled will be on the receiving end as they will need time to adapt with limited resources and skills. Another inequality AI will bring is the widening gap between the owner and the workers. The routine work will be taken up by robots and common customer questions will be answered by a chatbot. This will lead to layoffs and the owner getting richer with increased revenue margins. The profit share that was paid for employees’ salaries will now be deployed into buying machines that do not report sick leaves or demand overtime allowances. According to a report from the global research and advisory firm Gartner, artificial intelligence is currently creating more jobs than it is destroying. Surprised? artificial intelligence has bought a net increase of over two million jobs by 2025 and this includes not only the tech friendly job profiles like software engineers and data scientists but also allied jobs such as artificial intelligence trainers and analytics mentors. Artificial intelligence will be at its best when it assists humans to perform jobs and not compete against each other. Artificial intelligence- powered robots should not aim to replace human workers but to make them more efficient at work. An excellent example is when the artificial intelligence-enabled robots free employees from the tedious task of walking the aisles looking for out of stock or damaged products, and instead allows them to focus on fixing problems that require critical thinking to improve customer experience. 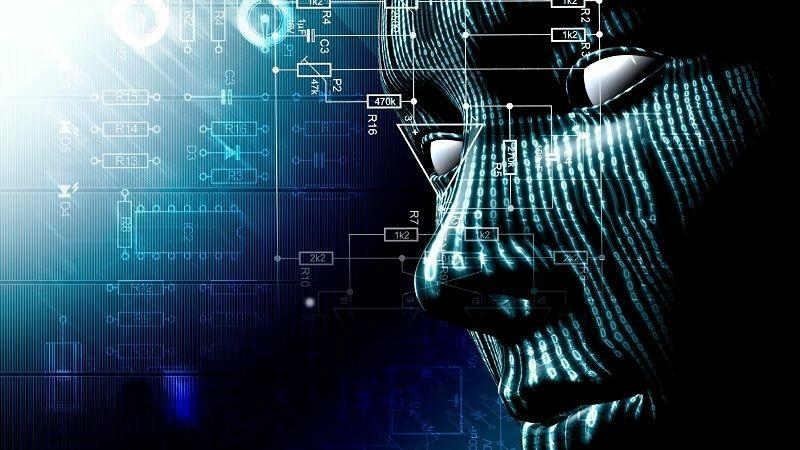 The potential of artificial intelligence is underexplored and coupled with human intelligence is all set to create wonders and bring a revolutionary change in the way we live today.